According to Portuguese outlet O Jogo, Manchester United could agree a £35m deal with Benfica for Brazilian forward Anderson Talisca. The 24-year-old has a lot of interest in his signature and could be on his way out of the Estádio da Luz this summer as a result. United manager Jose Mourinho played down the need for attacking recruits this summer, with Jesse Lingard, Marcus Rashford, Anthony Martial, Juan Mata and Alexis Sanchez for options, but it does appear they’re in the market for a new face. It could mean an existing player like Martial is sold. Talisca joined Benfica from Bahia in 2014 and has gone on to make 78 appearances in all competitions, scoring and creating 24 goals while winning two Primeira Liga titles and two Portuguese League Cups. The Brazilian has spent the last two seasons on loan with Besiktas, contributing 51 goals in 80 games and winning one Super Lig title. United are keen to bring him to Old Trafford, but they’ll be met with competition from the Chinese Super League which could prove a stumbling block in their pursuit. 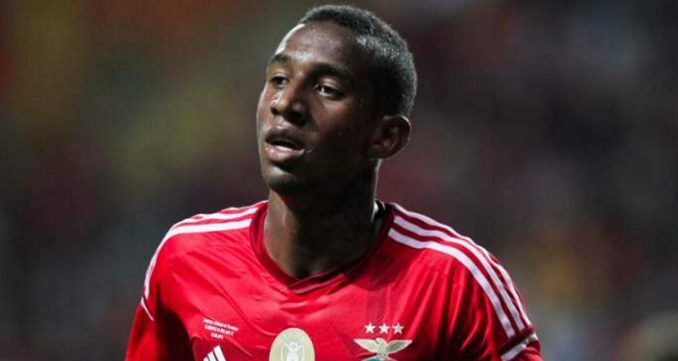 Talisca is expected to meet with his agent to make a decision on his future. United were believed to be his dream destination initially, but the promise of big-money from China could lure him to the Far East.